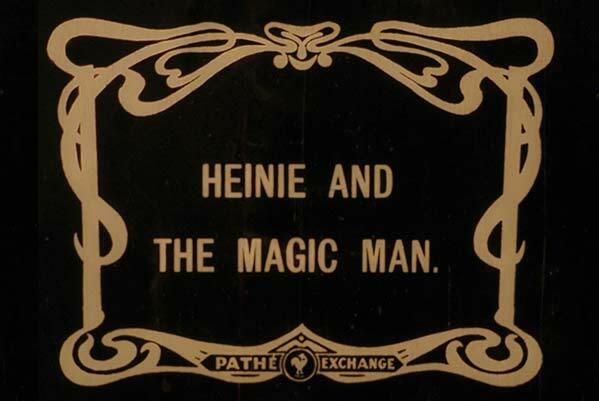 HEINIE AND THE MAGIC MAN was released on October 28, 1916. There were about 50 Heinie & Louie titles made by the Mittenthal Company in Yonkers, NY of which only four have been found. During this film's life, frames had been removed from the print in 32 places to make repair splices which caused the action to jump. This is the only print in existence, and there is no way to replace these missing frames except to reanimate them. Java, Grace and their friends.